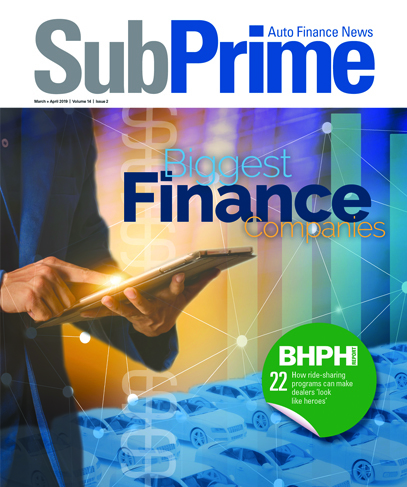 Here’s another collaborative effort to present information to consumers who want to know if the vehicle in your inventory might fit within the potential terms the finance company could provide — especially in the subprime segment. Equifax and Credit Bureau Connection (CBC) are joining forces to offer dealers and finance companies the ability to empower consumers with credit information with no impact to their credit scores during their initial vehicle-buying journey. Equifax and CBC reiterated a soft credit inquiry check is a consumer-based offering and does not require a firm offer of credit to be provided. The companies insisted that empowering vehicle shoppers with credit information earlier in the shopping process has been found to be critically important for consumers, finance companies and dealers. In fact, according to an Equifax survey of automotive consumers, not all consumers have equal knowledge of their credit. The survey showed prime millennials (70%) and subprime millennials (64%) are similarly likely to understand their credit situation. However, 78 percent of prime Baby Boomers are aware versus just 53% of subprime Boomers. Equifax and CBC contend the data illustrates a great opportunity for auto dealers and financing to help subprime consumers understand their credit score earlier in the online shopping process. This educational opportunity may help avoid surprises at the dealership, which can lead to lost sales and lower customer satisfaction.